An optional Performance Pac will arrive soon to jack up the power, too. 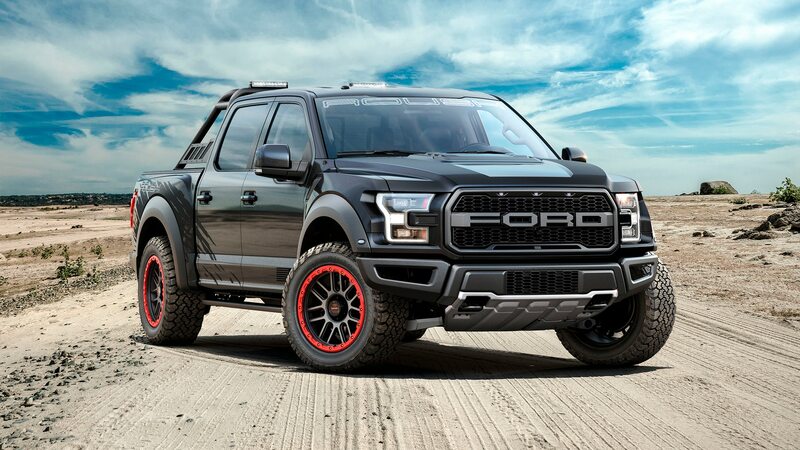 Looking to buy a Ford F-150 Raptor but you’re thinking it doesn’t look burly enough? 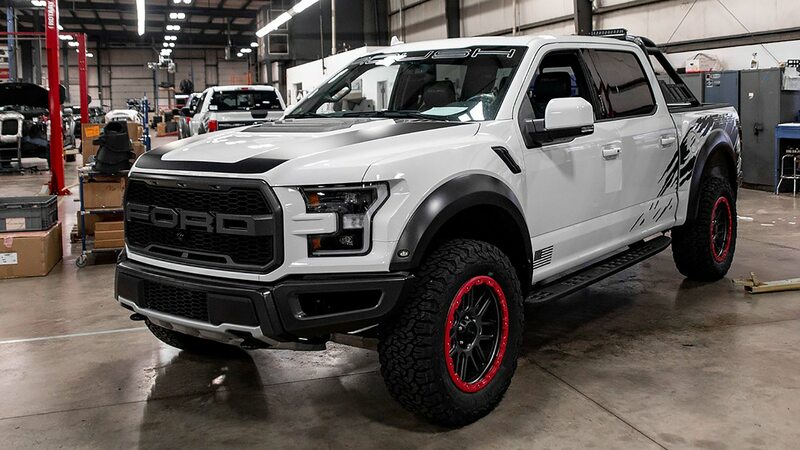 Well, for $13,000 and up—plus the base truck, of course—you can have a 2019 Roush Raptor that looks prepared to win every bar fight. 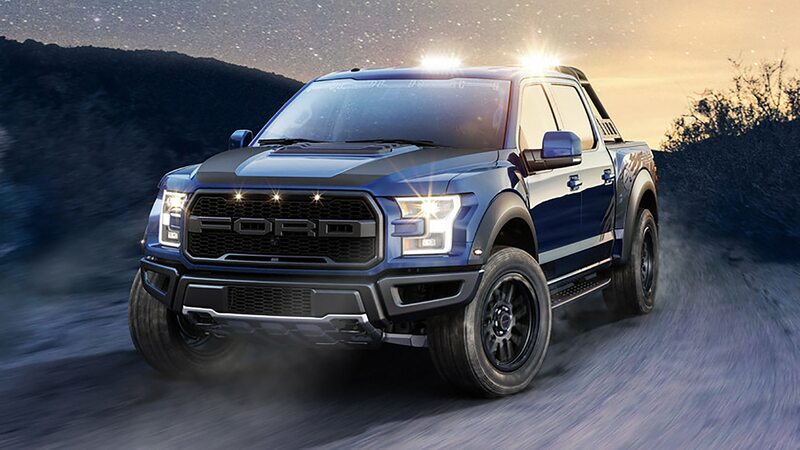 Without any additional options, the tuning company’s new package for the Raptor includes 20-inch, red-trimmed beadlock wheels wrapped in beefy BFGoodrich 35-inch all-terrain tires; an axle-back exhaust for extra menace; a sweet-looking bed-mounted chase rack; and all the Roush graphics and logos you can handle, including on the headrests, windshield header, and more. The interior also receives a custom gauge cluster and numbered console badge. There are extras, of course. 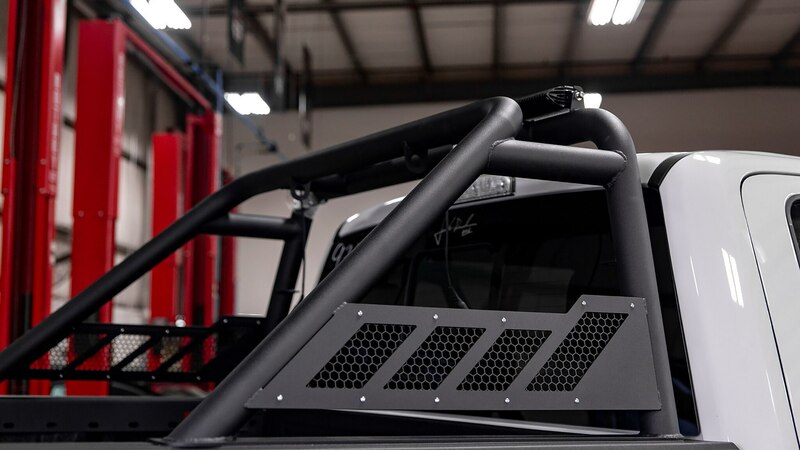 A set of rack-mounted LED off-road lights costs $850, adding splatter graphics to the bedsides is $660, a lockable box inside the center console runs $390, and $195 will snag an off-road utility kit with tow hooks, gloves, and other useful items for the trail. 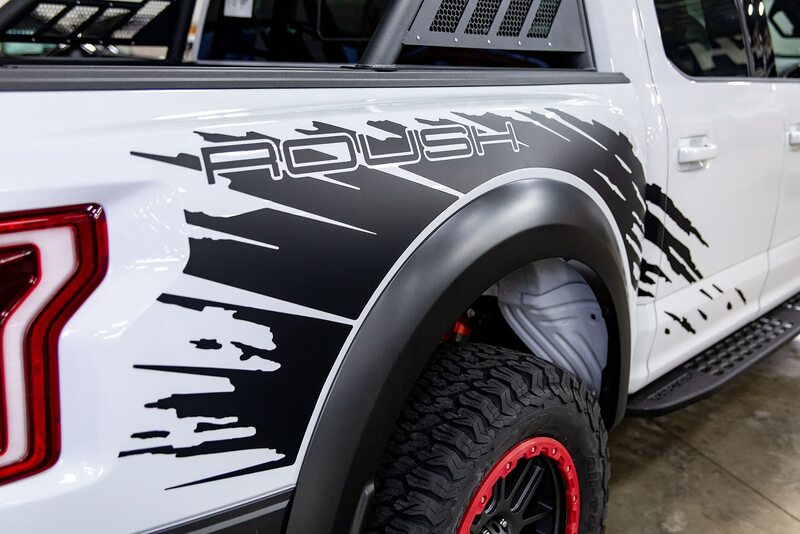 Almost of the options naturally sport Roush wordmarks or logos. Later, a Performance Pac will be available to crank up the twin-turbo 3.5-liter EcoBoost V-6 from its stock output of 450 horses and 510 lb-ft, but Roush doesn’t have specifics on the final output numbers or its price yet. The stock Raptor retails for $54,350, and Roushing it out won’t affect the three-year/36,000-mile limited warranty. The trucks are available to build and order now via the Roush website and authorized Ford dealers. Most trucks could still use some improvement, according to the agency.